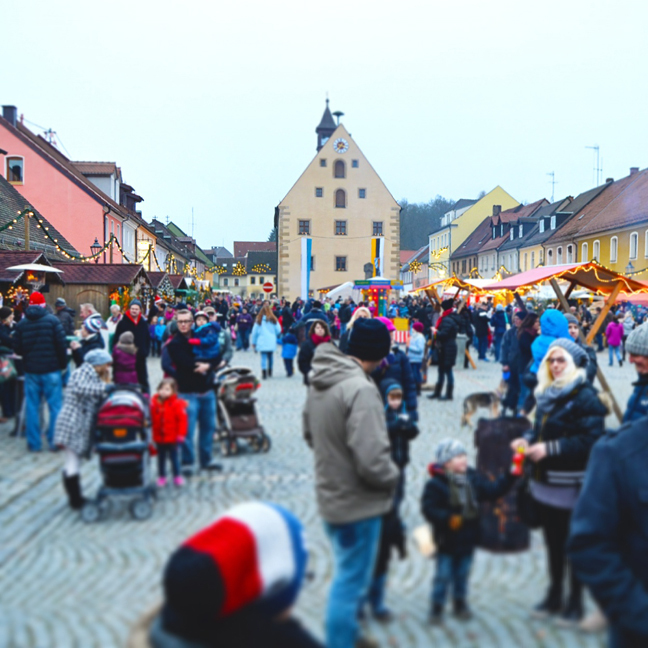 Christmas markets in Bavaria? I don't know if there's anything more magical. Our town is so small and cute it even warrants horse-drawn carriages through the streets. Window shopping to the max! 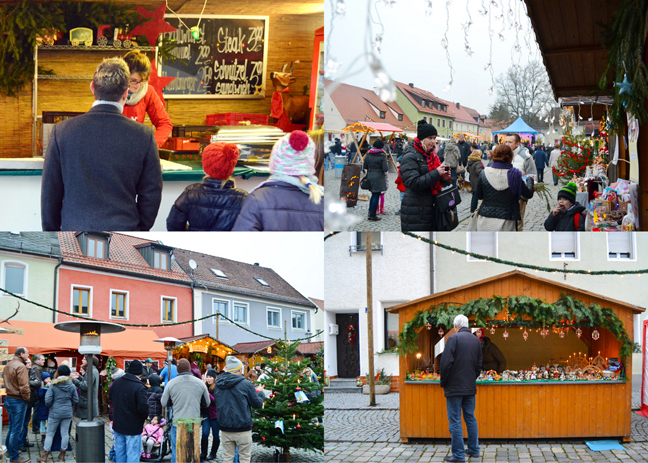 Grafenwöhr had it's Christmas market last Saturday. Most bigger city Christmas markets are every day or at least every weekend from Thanksgiving until Christmas, but this one was only this one day for three hours. We had to go of course! Merry tunes, kindling fires, grilled sausages, Christmas biscuits and gingerbread, decorated stalls heaped with traditional Christmas decorations, & toys and gifts all around. I love Christmas in Bayern/Bavaria. Have I already mentioned that? We don't buy ornaments every place we visit (just magnets) so we mostly just go for the ambiance and for making memories. The markets are usually held in the town square or Stadt Mitte (city middle). There was one little ride for kids so Fox and Jane hopped on and thoroughly enjoyed themselves. A local band got up on stage and played some music. I caught a bit on video. 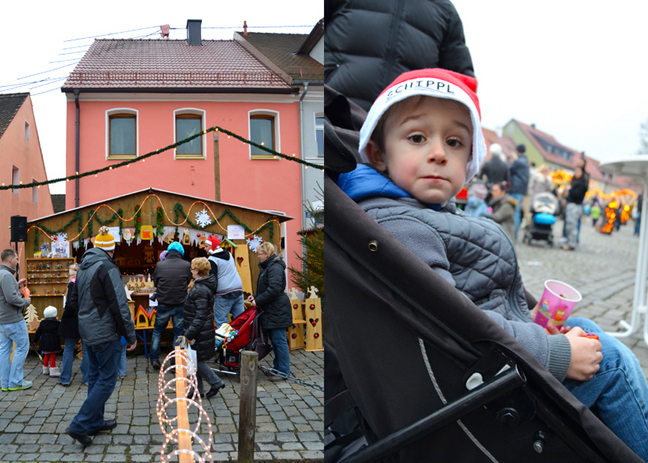 I heard St. Nicholas and Santa Claus and Grafenwöhr and that's about it.... Lots of people, Americans and Germans, came out for the festivities. A lady passed out free Santa hats. I saw and smelled these delicious waffles so I got one. Chris got a meat sandwich thing that was really flavorful. Chris teaching Jane about the nativity. It was literally freezing so we didn't stay too long but we had so much fun! 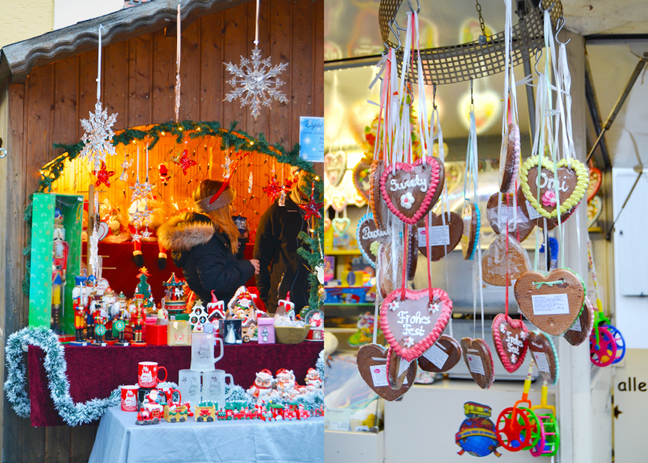 Hoping to make it to a few more Christmas markets (Weihnachtsmarkts) this year! That looks amazing! And I agree with you about taking more videos. They're so fun to look back on. Looks so fun!! Definitely an awesome way to get in the Christmas spirit!! PAIGE JUST STOP! I am sick of seeing all the places you go. Just makes me jealous :) You guys are making memories for a lifetime!!! Awesome! This looks like soooo much fun! I'd say we covered that Christmasmarket pretty dang well! Food, rides, crafts, music! The One with What is Snow?